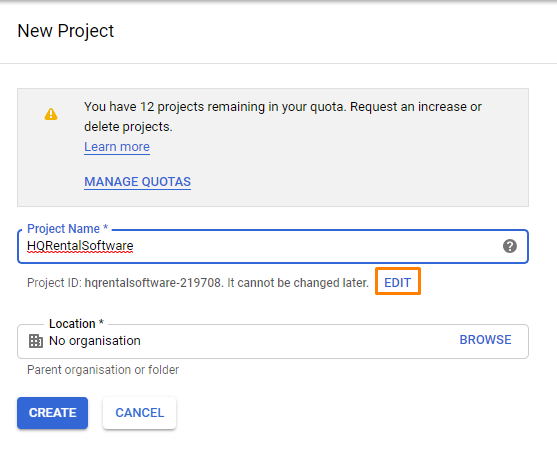 This article is a step by step breakdown on how you can enable Google login for returning customers to your company. 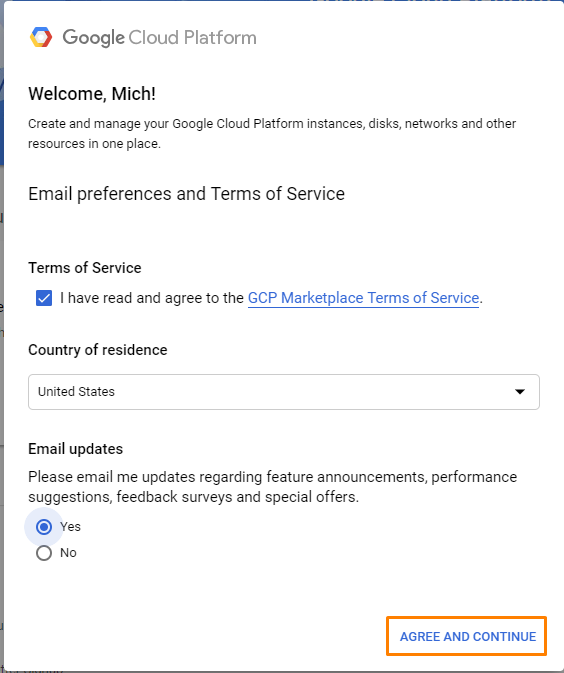 Go to https://console.cloud.google.com/ and log in with your Google credentials. Once you have logged in, you will be prompted to accept the Terms of Service. Read, check and select the necessary details and then click on the “Agree and Continue” button highlighted in orange in the picture below. 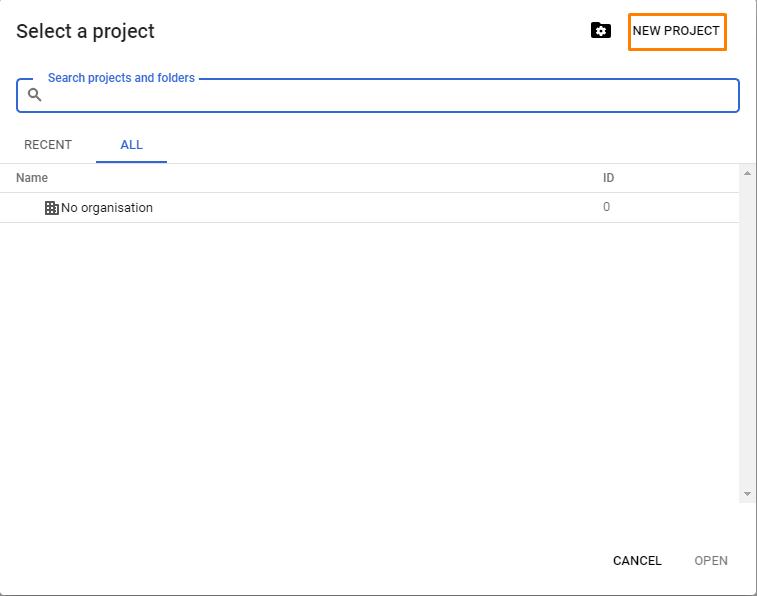 Next, on the top left of the page, click on the “Select a Project” button, highlighted in orange in the picture below. Once you have clicked on the “Select a Project button, a new window will appear. Here, click the “New Project” button, highlighted in orange in the picture below to create a new project. In the next page, fill in Project Name. This Project Name is for you to differentiate the different projects that you have. 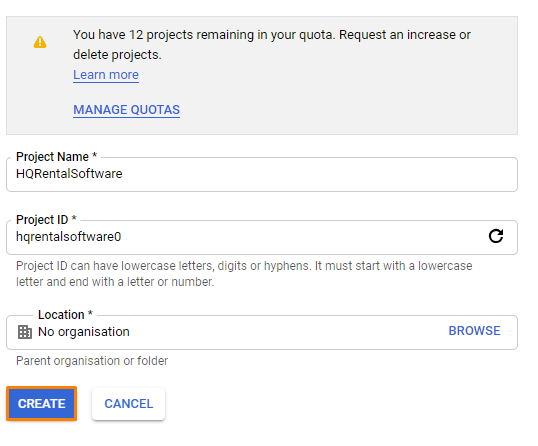 Next, edit the Project ID to make it something more memorable by clicking the blue “Edit” button highlighted in orange in the picture below. Once you have finished, click on the blue “Create” button highlighted in orange in the picture below. 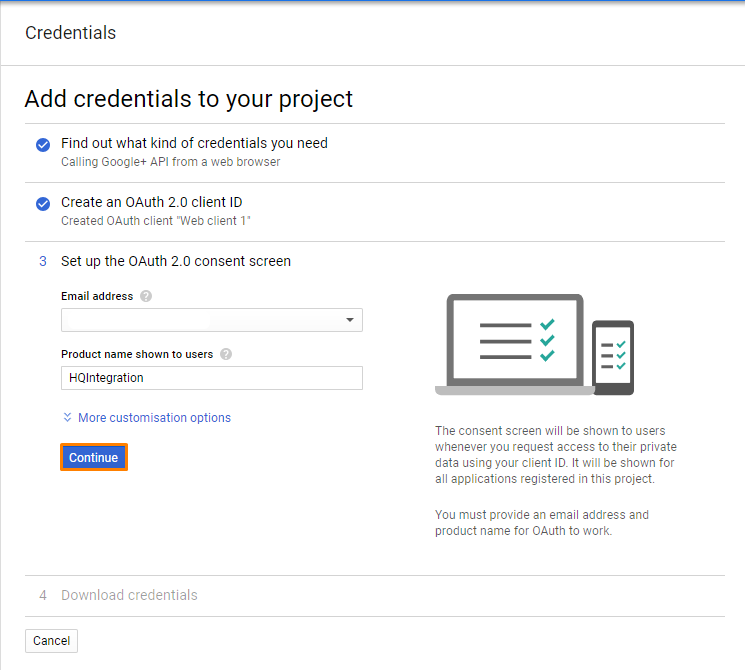 After you have successfully created the project, you will be redirected to the Dashboard which should look something like this in the picture below. 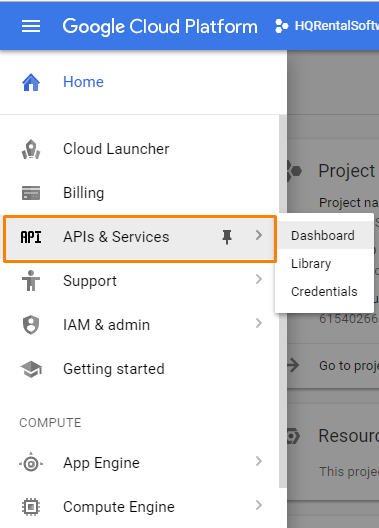 Click on the “API & Services” tab located on the menu on the left of the screen, highlighted in orange. If you do not see the menu on the left, click the “Hamburger” icon (3 bars icon), on the top left of the screen. Once you have clicked on the tab, a new page will appear. Click the “+ Enable APIs and Services” button on the top of the page, highlighted in orange in the picture below. Scroll down till you reach the Social category and click on Google+ API, highlighted in orange in the picture below. 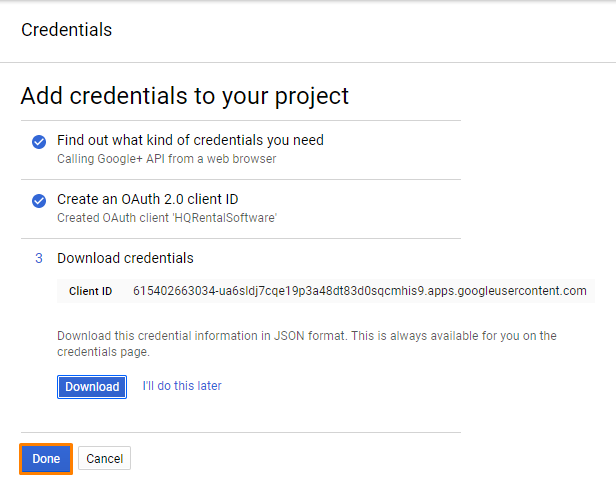 Next, a new page will pop up of the details in the Google+ API library. Click on the blue “Enable” button highlighted in orange in the picture below. Once you have clicked on the blue “Enable” button, a new page will appear. 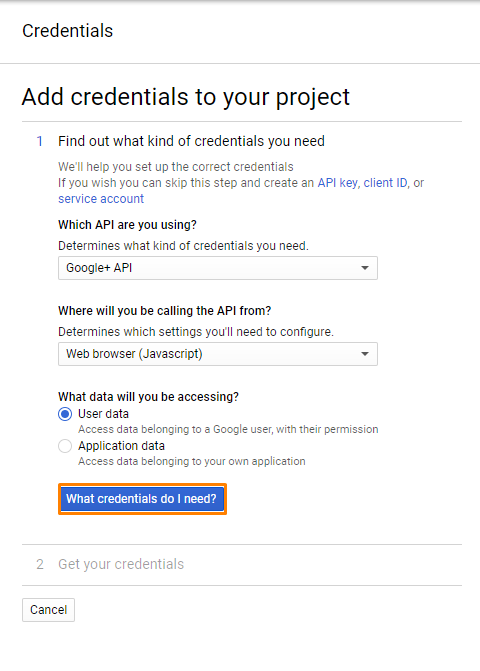 Here, click on the blue “Create Credentials” button, highlighted in orange in the picture below. Type in a name for your Client ID in the Name field. You can hover over the question mark for more information. Next, click on blue “Create Client ID” button, highlighted in orange in the picture below. In the next step, select the email address that you will use to manage and type in the name of your Company. You can hover over the question mark for more information. Next, click on the blue “Continue” button, highlighted in orange in the picture below. If you have done everything correctly, you will see a part of your Client ID in this next step. Click on the blue “Done” button. Once you have clicked on the button, you will be redirected to your credentials page. Click on the credentials you have just created. An example, highlighted in orange in the picture below. A new page will pop up containing your Client ID and Client Secret. Head to your integration page on the system and insert those two respective fields. Once you have finished, click the blue “Save” button, highlighted in orange in the picture below. On your Integrations page in the system, click on the integration that you have just added. You will notice a Redirect URI, highlighted in orange in the picture below. 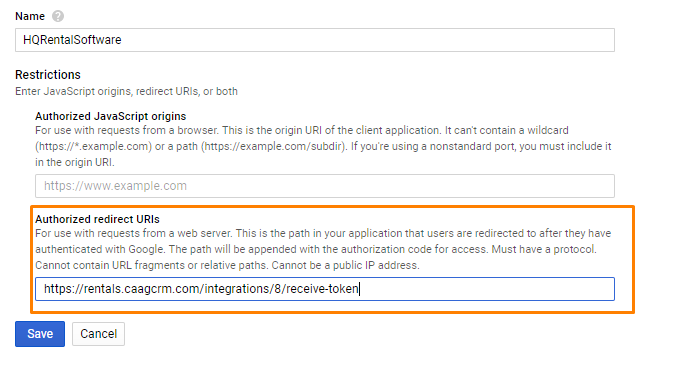 Copy and paste that link into the Authorized Redirect URIs in the Google API credentials page. Next, click on the blue “Save” button. 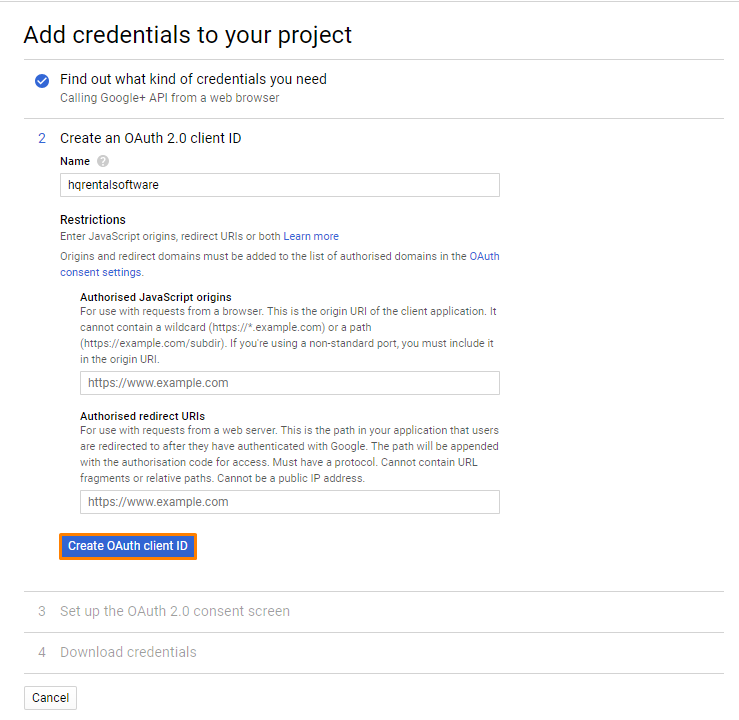 In the integrations page, click on the green “Authenticate” button to conclude the setup. This picture is what you should see if you have set everything up correctly.